Something Good to Read: Yes! 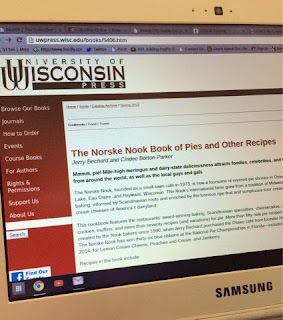 The Norske Nook Book of Pies. Yes! 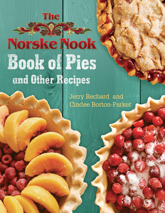 The Norske Nook Book of Pies. 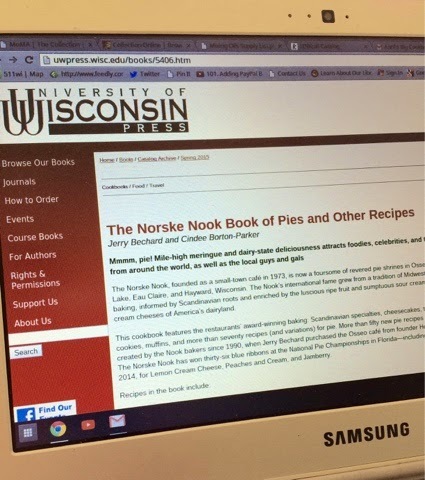 I was drifting around on the web looking for books to read when I saw that the University of Wisconsin Press is publishing The Norske Nook Book of Pies and Other Recipes. The Norske Nook, a restaurant in Osseo, Wisconsin, is the premier place for pie, fabulous, fabulous pie. I must know their secrets! I will buy the book.